We reply: “Thank you for your email. It does take a few weeks for some of the tests to come back. The Laboratory only does some of the blood tests once they have sufficient numbers, so we have to wait. As soon as all of the tests are available, we will be in touch with the results. Without all of your results, it is not possible to give you an accurate interpretation. Sorry that it takes so long.” Kind regards. We send emails of the blood test results as soon as they are all available. 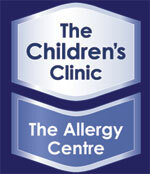 Blood test results from the Childrens Clinic and Allergy Centre can take up to 4 weeks to get an interpretation of allergy tests by Dr Rodney Ford. Skin test results are available immediately during the consultation. I was just wondering whether you test for histamine intolerance? I suspect my daughter may have one.